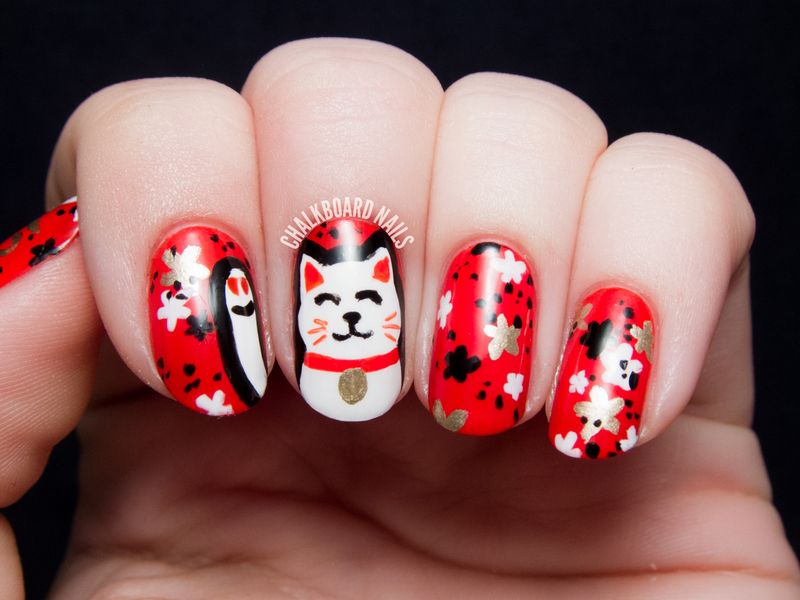 The maneki-neko is painted freehand with a small nail art brush, and I added some black, white, and gold sakura around it on the other nails. I took the stylized kanji on my thumb from this lucky cat illustration by Emma Barratt - I believe it is "fuku" which means blessing, fortune, and luck (maybe someone can confirm for me). Hopefully I didn't butcher the symbol too badly! Have you seen one of these little guys before? I think they are just so cute and friendly! If you'd like to participate in The Lacquer Legion's monthly challenges, be sure to like it on Facebook and follow @TheLacquerLegion on Instagram! Very pretty!! 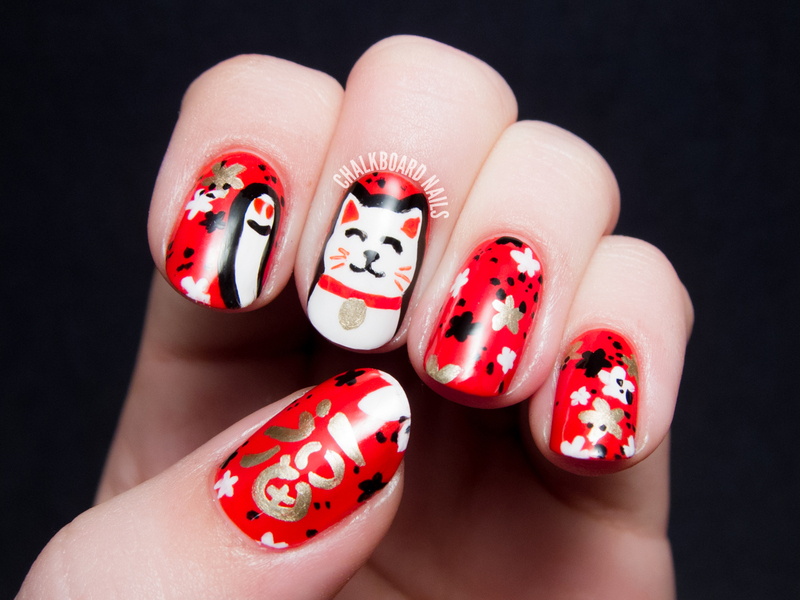 I love the Maneki Neko! OMG these are adorable! I know about this cat too, since my parents used to have a small figurine of it. How adorable! 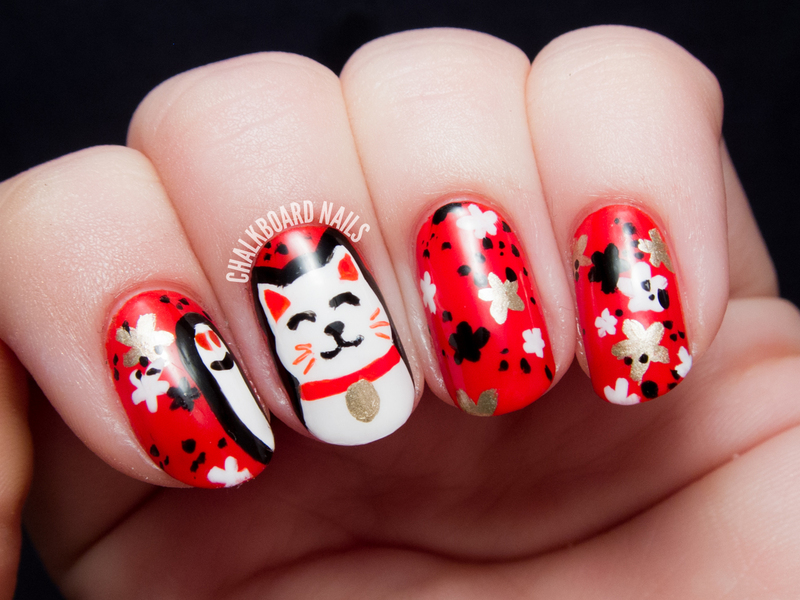 I love your interpretation of the theme - these little cats are so cute! I went to Japan and these were everywhere! Good memories :).Your brush strokes on the kanji look really good! It is "fuku" kanji and it does mean fortune. You didn't mess it, it's accurate (I'm a Japanese language student). It's an awesome mani! :D I love it! 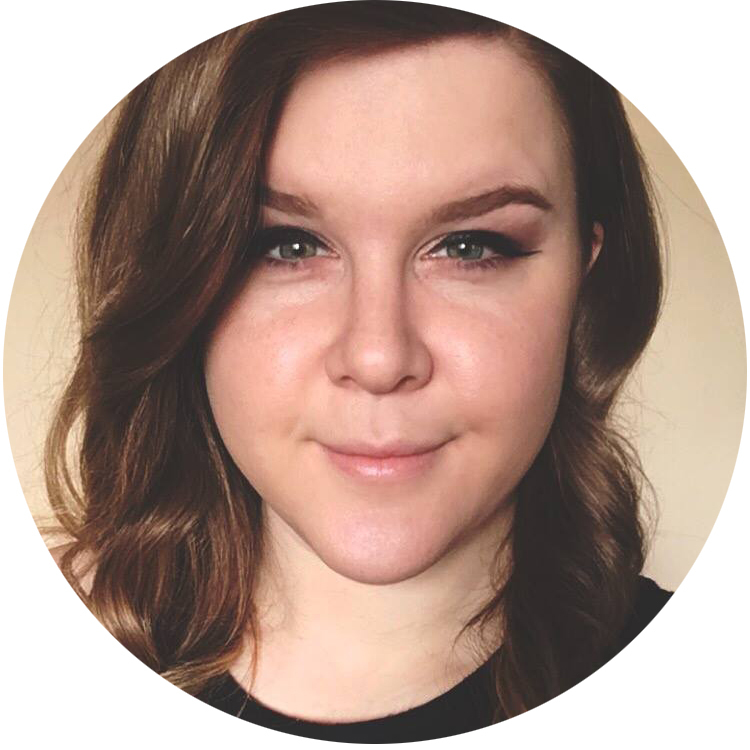 I saw it when I was scrolling through all the #LLlucky posts and actually said aloud "oh my god that is too effing adorable" and had to click xD well done! Very beautifully done. .. love the cute design. Hope its lucky for you. It's fun. I love it. Adorable nail art! Love it! omg!! it's so perfect!! Amazing nail art! love it! omg i love this! and meneki neko!! 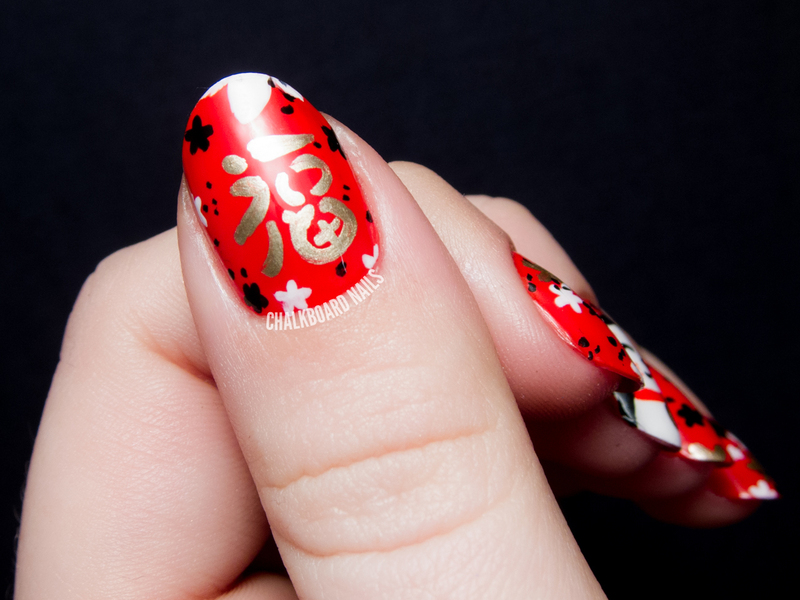 Such a cute nail art :D love the sakura too. This is beyond amazing! I love it! wow!!! Really cute!! Love it! His little whiskers are super cute! gorgeous! ive always loved that little guy! OMG! You did amazing work!! Is maneki-neko popular/well known internationally these days? I'm not sure how well known they are -- I've only seen them in Japanese restaurants and maybe in a gift shop here or there. Thank you so much!! Wow, I'd love to go there someday! eeeeee I love love love this! Ahhhw, this is so sweet!